"The duty of foresight isn't a legally-recognized duty for boards, but it is a strategic responsibility and a moral obligation to the association's stakeholders." 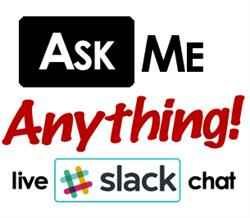 This will be an interactive and engaging 30-minute live chat using Slack. Slack is easy, fun, and productive. 1. Please read Jeff's 3-page article before you arrive so we can get into some depth on the topic. 2. Important: If you haven't already joined Slack, you can send yourself an invitation here. 3. Here is the link to participate during the event. You can even post a question before the event begins. P.S.- ASAE members with expertise in specific topic areas are invited to be a presenter for future #AskMeAnything live chats. Please reach out to lucas@qiqochat.com, a co-organizer of the Association Community on Slack.